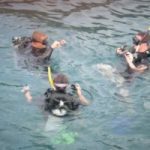 When considering the configuration of their scuba equipment for precision buoyancy and weighting, scuba divers should pay heed to the safety issues arising from having non-ditchable weight. To mitigate those potential problems, it is worthwhile to devote some attention to the principle of a ‘balanced rig’. 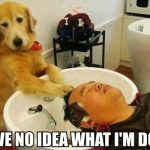 What is a Balanced Rig? 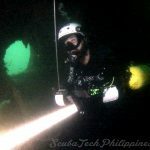 The ‘balanced rig’ is a concept that stems from technical cave diving in the USA. This concept deals with the creation of an integrated scuba equipment set-up that aims to be, with an empty cylinder/s, as near to neutral as possible – without being excessively heavy. Excessive weight is defined as being beyond the capacity of the diver to swim up to the surface (full cylinder and weights in place). 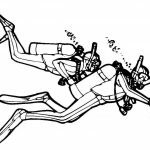 Using a ‘balanced rig’, at the beginning of the dive (when the cylinder is full and heaviest), the diver is safe because they know that they can swim themselves to the surface in the event of an emergency. 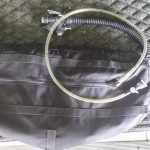 If the regulator ceased supplying air, the BCD inflator malfunctioned, or even if the BCD bladder burst, they would not be in a situation where the equipment was so negatively buoyant that they could not reach the surface. 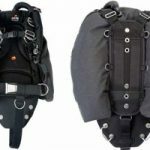 Whilst the weight belt is ditchable, and doing so should permit a buoyant emergency ascent, we don’t want to include this within our considerations of a balanced rig. 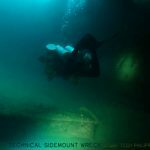 At the end of the dive, when their cylinders are lightest and exposure protection has re-expanded in shallow water, they have sufficient weight to hold a safety or deco stop and allow a controlled ascent. One major safety benefit of the balanced rig is that it enables the diver to identify the minimum amount of ditchable weight they need to maintain; whilst also providing them with safe options for non-detachable weight for the purposes of trim adjustment or the carrying of other items, such as canister torches, metal reels and tools (assuming that the diver doesn’t want to consider a $900 canister torch as ‘disposable’). Primarily, these are the exposure suit and the scuba cylinder. 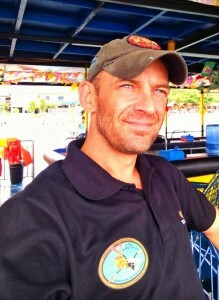 Whilst the exposure suit is positively buoyant, it will lose some buoyancy at deeper depths. When using a wetsuit, the diver should be aware of the relative changes in wetsuit buoyancy at varied depths. Likewise, the scuba cylinder will reduce in negative buoyancy as the air it contains is depleted by the diver. A steel cylinder may remain negatively buoyant, even when empty. An aluminium cylinder is likely to become positively buoyant when the air pressure gets low. Again, the diver should understand the buoyancy variation that occurs in the cylinder they are using. The human body (yes, we are slightly buoyant), padded BCDs, ‘floaty’ fins, slates, etc. These are negatively buoyant items that the diver can dispose of, should an emergency require it. These could include; weight belt, torches, reels, stage cylinders etc. Once you understand the individual characteristics of the items that you use underwater, you will be in a far better position to fine-tune your over-all configuration towards specific goals. 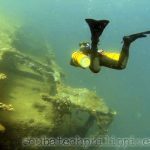 It will also help you with purchasing decisions, by adding buoyancy requirements to your kit selection factors. Conduct a floating weight confirmation. 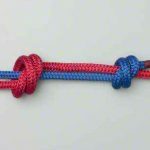 Descend to 5m depth and hover with approx 30bar in your cylinder/s. 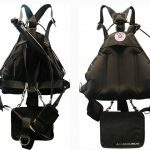 Remove all of the air from your BCD and then remove weights until you reach a stage where you cannot comfortably hold the stop whilst breathing naturally. Descend to approx 21m/70ft and attempt to swim back to the surface. Maintain an appropriate safe ascent rate and include 1 minute stops at 12m/40ft and 6m/20ft. You should be able to achieve this with relative comfort. If not, then you will need to remove weight from your equipment. Bear in mind that (as you have already perfected your weighting) the increasing buoyancy of your wetsuit on ascent should make the journey progressively easier as you near the surface. 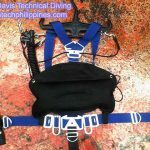 Having satisfied yourself that you have sufficient weight to maintain shallow stops at the end of a dive and that you can swim up your kit at the beginning of a dive; you can now tailor your equipment configuration for the best results. Having identified the minimum total weight that you must carry, including the minimum weight that must be ditchable; you can consider the integration of other non-ditchable negatively buoyant items into your balanced rig for the purposes of trim control. Congratulations… you should now have a ‘balanced rig‘.